If you’ve already read chapter one of “The Workday Tech Strategy,” you know the story about Workday’s early days, and why we made the decisions we did about our technical foundation. 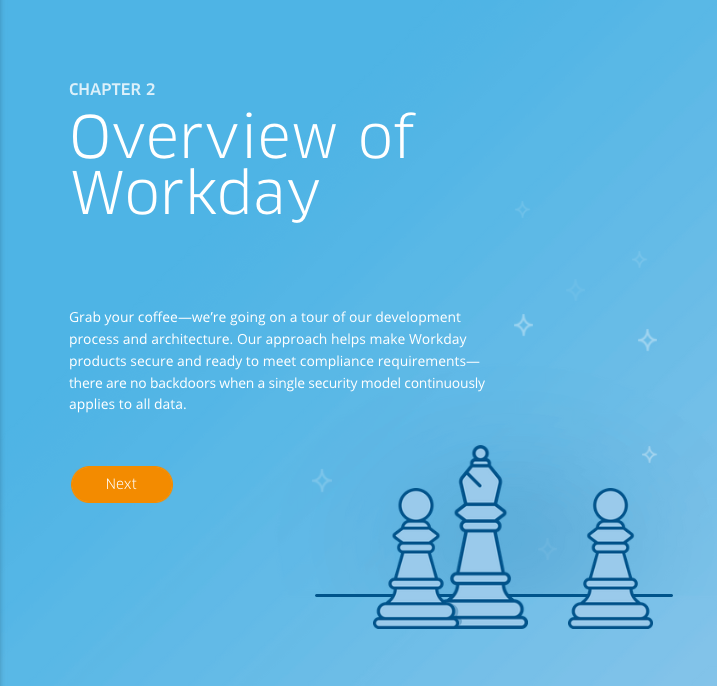 Now, in chapter two, we delve into our development approach and processes, the Workday architecture, and our single security model. Stay tuned for chapter three, where we take our deepest dive yet into the specifics of how the various components of Workday work with each other. In the meantime, cozy up and come along for the journey into chapter two.